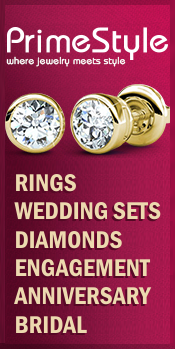 Save Big on Couture Bridal Gowns & Accessories! Here’s a site for every bride on a budget: Your Dream Dress! They have gowns from designers such as Vera Wang, Reem Acra, Amsale, Carolina Herrera, Elie Saab, Monique Lhuillier, Badgley Mischka, Valentino and many others… at up to 90% off! The internet is a great place to start searching for wedding cake ideas, recipes, decorating tips, and more. Here are some great resources to check out! Not that we want the maids to outshine the bride… but the bridesmaid’s gowns this season are just incredible! We’ve browsed the newest collections to show you some of our favorites! Hot off the Runways: Our Favorite Fall 2012 Wedding Gowns! What will it be this season? Bold and sultry, a dash of color, understated, sophisticated, whimsical or traditional…? We’ve got them all, and you’re sure to find a gown from these collections that you’re wild about! For autumn, there’s something special about sparkling metallics blended with deep colors, warm fabrics, and firelight! Here are some of our favorite finds to brighten your wedding decor!